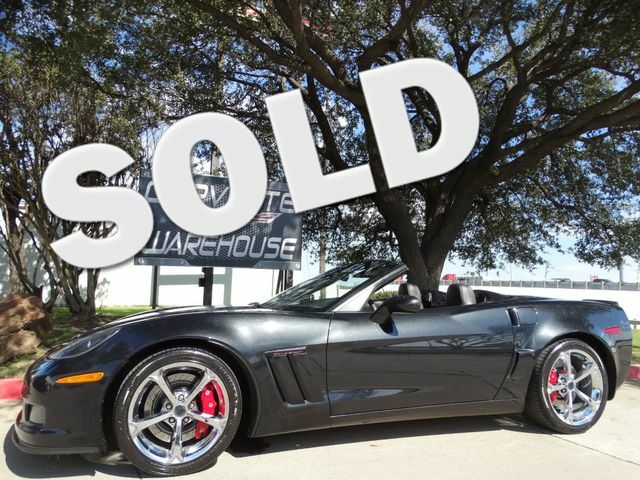 2012 Carbon Flash Metallic / Black Leather Centennial Edition Z16 Grand Sport Convertible 3LT, Automatic Transmission, with only 30k Miles! 100th Centennial Edition 1/528 Made! This 100th Centennial Edition Grand Sport Convertible comes with the 3LT option package, navigation system, Dual Mode Exhaust, F55 Magnetic Ride Control, Heads Up Display, Memory Package, Dual Zone Climate Control, Bose AM/FM/CD, and the Grand Sport Centennial Chrome Wheels. It is in excellent showroom new condition and has been highly maintained.